SOPEX is a Croatian private limited company. Its business operation is based on sales of laboratory products and services for pharmaceutical industry and medical institutions. Sopex has been successful for over 17 years thanks to its quality, ethical business practices, availability and effective communication. In this long period, it has been a reliable partner due to very good relationship with its clients and outstanding partnership with its suppliers. Sopex is gaining its advantage on the market because of clear vision supported by enthusiasm, trust and values. One of its fundamental principles is to run its business ethically because in this way it complies with some of its key values: credibility, reliability, competence and resourcefulness. With its innovative and superb partners, Sopex remains stable and reliable partner for clients. Thanks to experience and new knowledge, Sopex is turned towards a successful future. Biological indicators (BIs) are the most accepted means of monitoring the sterilization process because they directly determine whether the most resistant microorganisms (e.g., Geobacillus or Bacillus species) are present rather than merely determine whether the physical and chemical conditions necessary for sterilization are met. Because spores used in BIs are more resistant and present in greater numbers than are the common microbial contaminants found on patient care equipment, an inactivated BI indicates that other potential pathogens in the load have also been killed. 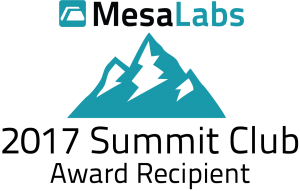 Mesa Labs today’s includes former BI manufacturers SGM Biotech and Raven. SteriTec Products Inc specializes in thermographic ink technology and has invented whole product categories such as disposable Bowie-Dicks. We believe our technology and products help prevent hospital acquired infections by testing the effectiveness of both the cleaning and sterilizing processes. Our mission is to advance sterilization technology through innovative products and excellence in quality. Charles River provides all the necessary accessory products required to run an LAL test. Our accessory products are all certified for the appropriate LAL testing requirements. These high-quality accessories impart control and consistency to the LAL laboratory, thereby minimizing invalid results and repeat testing. The gel-clot assay is a simple qualitative method best used for low-volume laboratories. Our lysate features a firm gel over a wide range of sensitivities as the buffered reagent provides better interference resistance for routine testing. Endosafe® Rapid LAL Single-Test Vials contain gel-clot LAL to provide a simple, self-contained option for routine endotoxin detection in research samples, renal dialysis process water and dialysate solutions. Charles River kinetic chromogenic (KCA) LAL facilitates your endotoxin screening with its ease of use and unique reagent stability. Our kinetic assay, Endochrome-K™, features an optimized formulation that provides increased sensitivity, greater linearity and superior interference-resistance. Endochrome-K™ delivers quantitative endotoxin values in roughly an hour, and its use of reconstituted LAL allows for extended bench time and reuse, making it a highly cost-effective solution. Charles River offers a line of single-step rapid testing systems which include assays for quick and quantitative endotoxin analysis, glucan contamination testing and gram identification. Our rapid test methods allow you to produce results right at the point of sample collection, and improve sample management, decrease testing time and accelerate product production. The focus of the Charles River Endotoxin and Microbial Detection division is to exceed your expectations by providing microbial solutions with exceptional quality, accuracy and reliability. As your strategic partner, we have purposely designed processes to help you every step of the way. Wherever you need us, we can be a flexible, efficient and cost-effective extension of your internal quality control laboratory. Charles River supports the biopharmaceutical, medical device, nutraceutical, personal care product and cosmetics industries with cGMP-compliant contract microbial testing services. Specializing in bacterial and fungal identification and strain typing of environmental isolates, we use the latest sequence-based technologies to provide accurate and reliable microbial identification services to more than 1,000 facilities worldwide. Over the last 20 years, our laboratory has tested and identified more microorganisms than any other company or service laboratory, which has allowed us to develop and refine validated, proprietary libraries and methods of interpretation that are unrivaled in the industry.